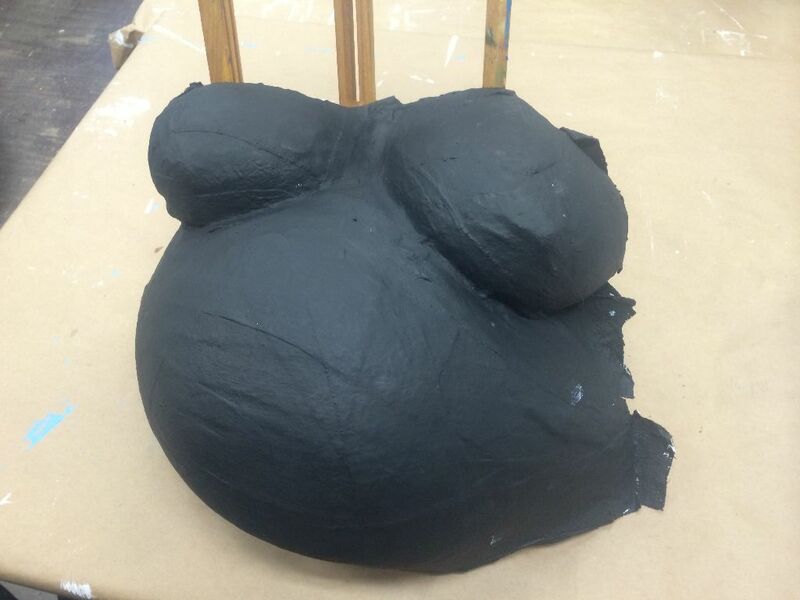 A few years ago and a few years apart, two moms-to-be made graceful, sculptural, rotund plaster casts of their bellies in the latter stages of pregnancy. I felt very honored when they brought the casts to me asking me to enhance them with paintings. The casts are irreplaceable and precious. The first thing I did was reinforce the edges which were thin and fragile. I painted them black because I prefer working on a dark ground. The next step was to decide what to draw and paint on the rounded surface. 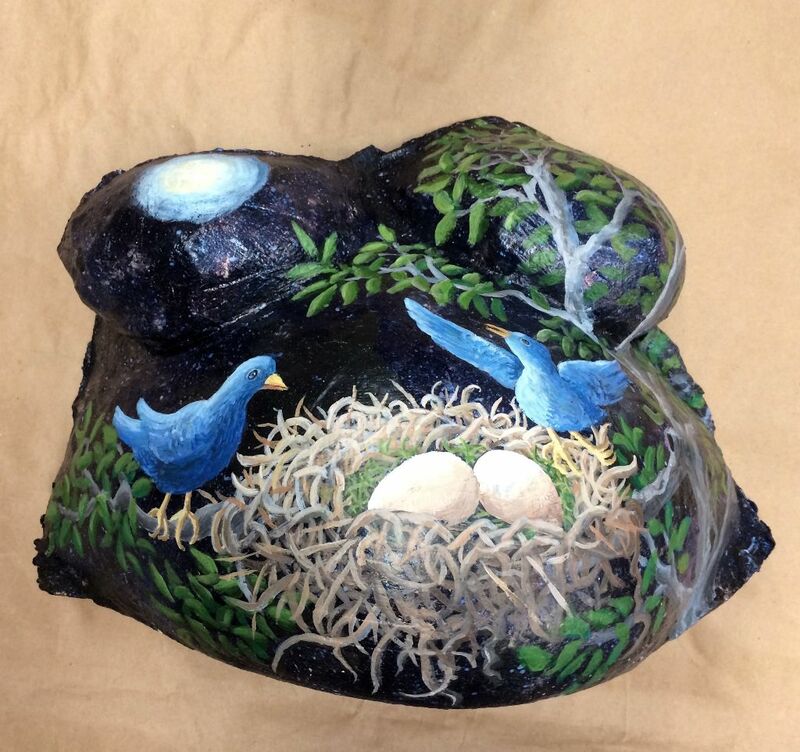 Nests are the perfect image for this special project. A nest is a haven. A magical place of nurturing and growth created especially for the emergence of new life. I wanted to make them bright, magical and mysterious. 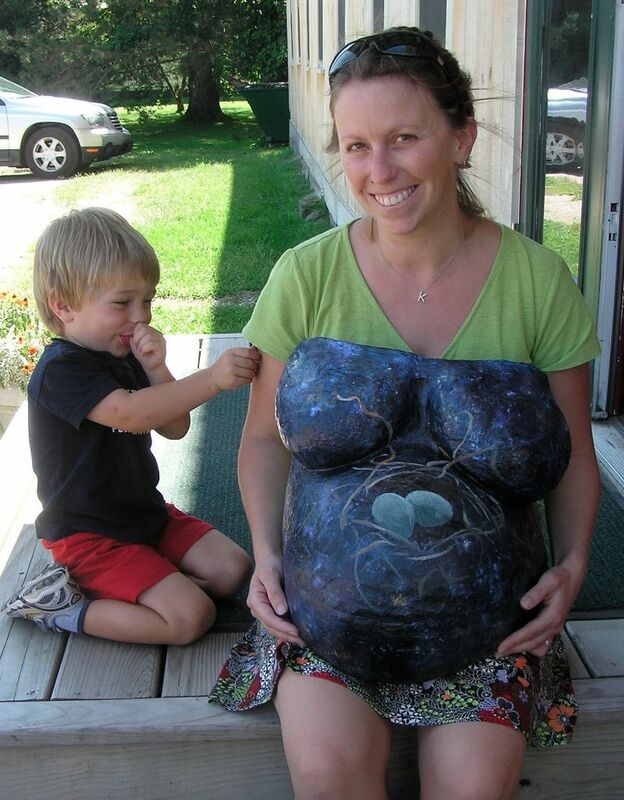 The process made me think of my own immensely round belly so many years ago. It never occurred to me to make a cast! All I have is this photo. Thanks so much Pamela! Being a mom is a magical experience from the very beginning! I’d love to see those drawing someday! Beautiful work Liza…your post is framed nicely with opposing words as well. I agree Ben does speak from the lustful adventurous male perspective of full sails and full bellies, while Mandy speaks from the heart. Yet both see the beauty in the shapes and the Life created within. tnx tj. Is there a bio of Franklin that you would recommend? I’m going to check them both out. Thank you, Tom!